Six weeks. Ten events. It's now a wrap, and time to party! This year's LOGOLYMPIAD in numbers: 180 entries, 47 different members participating, 16 members winning medals. 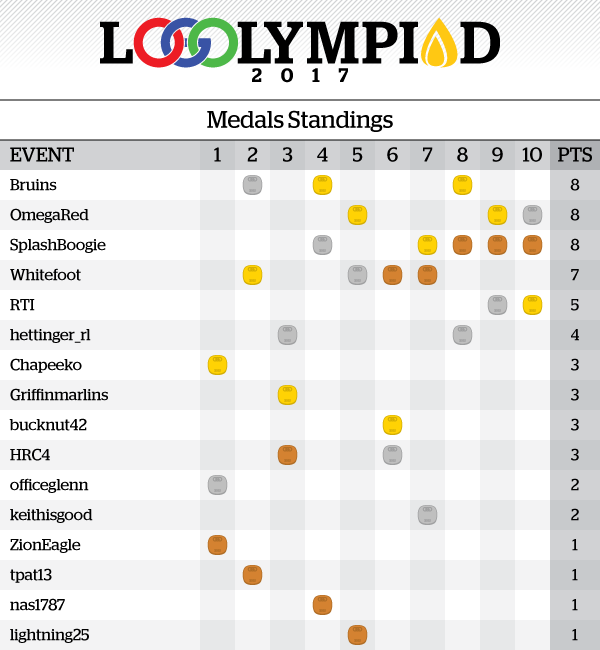 In yet another amazing finish, we have a three-way tie atop the medals standings, just like in 2014! @Bruins and @OmegaRed both won 2 gold medals and a silver medal for a total of 8 points. @SplashBoogie won a gold, a silver, and 3 bronze medals for 8 points. For the points standings, the final 2 podiums spots were decided at the last event! In third place, @Bruins scored 100 points. In second position, @SplashBoogie scored 105 points. And the winner of the points standings this year is @Whitefoot, with 126 points! Congratulations to all the winners, and thanks to everyone who participated and voted. Let me know your thoughts on this year's event! Feel free to make suggestions for future installments of the competition! And with that, I hereby declare the games of the LOGOLYMPIAD... closed! THANK YOU @pollux for putting everything together again! As much time as it takes designing entries for each event, I'm sure it takes much of your time to set things up, tally, and answer questions. Your work does not go un-noticed or unappreciated. Big shoutout to @pollux for putting together another great season. Thanks to everyone who enjoyed my designs enough to vote me to the silver in points and gold in medals. Big ups to my co-champs @Bruins and @OmegaRed but I'm not looking to share next season so y'all better be ready! But a seriously great season and it's given me so much confidence in my design work heading into the new year. Hope to keep y'all excited for whatever comes next! This was a lot of fun to be a part of. 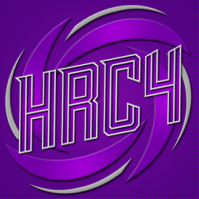 I know what I need to work on for the future, but this definitely stretched and enhanced my logo making abilities. Thanks for putting this on @pollux, and congrats to all of the winners. Thanks for the good words. I'm glad you liked this edition of the contest. I'll admit it was a bit rushed and the events could've been better balanced, but I'm still happy with the outcome. We had that lovely 10th edition logo designed last year, do we get to see it in use for the 2018 Logolympiad? So... are we doing Logolympiad this year? Sorry guys, I haven't had time to prepare anything this year, and I don't want to run it during Christmas holidays. It's also the reason why I asked for Logolympiad X as a logo rather than Logolympiad 2018. More than understandable. Hopefully Logolympiad X happens sooner rather than later though! You always put on a good contest. Maybe sometime early in 2019?